“Rock star, crowdfunding pioneer, and TED speaker Amanda Palmer knows all about asking. Performing as a living statue in a wedding dress, she wordlessly asked thousands of passersby for their dollars. When she became a singer, songwriter, and musician, she was not afraid to ask her audience to support her as she surfed the crowd (and slept on their couches while touring). And when she left her record label to strike out on her own, she asked her fans to support her in making an album, leading to the world’s most successful music Kickstarter. Holding Up The Universe – Jennifer Niven. Source: Won an arc at YALC 2016! “Everyone thinks they know Libby Strout, the girl once dubbed “America’s Fattest Teen.” But no one’s taken the time to look past her weight to get to know who she really is. 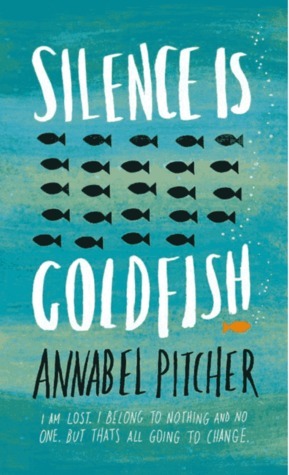 Following her mom’s death, she’s been picking up the pieces in the privacy of her home, dealing with her heartbroken father and her own grief. Now, Libby’s ready: for high school, for new friends, for love, and for EVERY POSSIBILITY LIFE HAS TO OFFER. In that moment, I know the part I want to play here at MVB High. I want to be the girl who can do anything. The Square Root of Summer + My Summer Time Capsule. 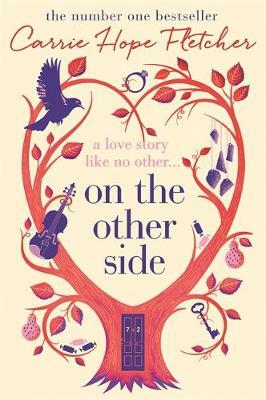 On The Other Side – Carrie Hope Fletcher. Synopsis: “Evie Snow is eighty-two when she quietly passes away in her sleep, surrounded by her children and grandchildren. It’s the way most people wish to leave the world but when Evie reaches the door of her own private heaven, she finds that she’s become her twenty-seven-year-old self and the door won’t open. LGBTQ* Reads! | George, Unspeakable, All of the Above. One of the best things about the start of summer is all the Pride events happening around the world! And recently, I’ve started looking for and reading books with themes on gender and sexuality. I’m trying to read more books along the spectrum, rather than just the centre. And here are some really good ones that I’ve read as of late! Creativity and the idea of Big Magic. Back at the start of the year, I wondered into Foyles and decided to pick up Big Magic by Elizabeth Gilbert. This was for a couple of reasons. 1) It was a really nice hardcover and it was half price, who could resist. 2) I had known of Elizabeth Gilbert as she has a lengthy writing career and I hadn’t read anything by her. 3) It was a book about creativity and how to get your creative juices flowing. Because of this I thought Elizabeth Gilbert would be a great person to discuss being creative with as she has published 8 books,including the world famous Eat, Pray, Love; with Big Magic being her 9th.